Nobody wants to imagine a holiday ended up with health problems especially on abroad! That's why as a tourist we search for hotels, events, things to do in a foreign country but never come up with the question what if do I get injured somehow on holiday? Of course, it should be the good thoughts in the first place but we need to know a few things beforehand so that we can struggle with what happens to us on abroad. Travel tips for Barcelona city will enable you get the best of your trip.So here in this article I've tried to give information about health services in Barcelona city. Before getting on a plane, it may relieving to know hospitals in Barcelona city. There are different medical places in Barcelona varying up to your needs. Also, English speaking doctors in Barcelona will be better for you when you are in an urgent situation. First of all, if you need urgent help in Barcelona please call 112 for an ambulance. But if you are not sure whether your situation is urgent or not you can contact to below medical clinics for further guidance. What is the most important thing you need to remember is that having the European Insurance card with you. 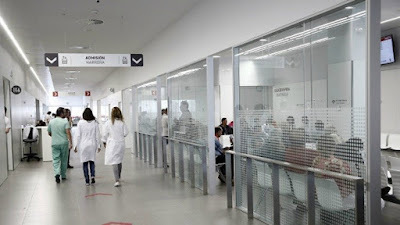 Most Europeans have this card already but if you are non-European than you need to get your health insurance documents before your visit to Barcelona city so that you can get your medical service for free. For medical services in Barcelona please go to below addresses. As a tourist, it is one of the good clinics you can get health service for any problems such as dermatology, gynaecology, cardiology,infectious diseases or blood tests. They have multi-lingual staff at the information desk so you can handle your problem easily. For more info and address please click on the title. For private clinic, please go to Googol Medical Centre. You can find English speaking doctor at the clinic. English doctor Barcelona Dr. Steven Joseph will provide the necessary help during your holiday. For another private medical place in Barcelona please go to Dr. Mary D. Mccarthy. You can arrive there by a short walk from Garcia and Diagonal metro stations or by bus please take 64 and 58. And also please check the medical services in Barcelona on the map so that you can decide which one is closer to your location. Lastly, I hope you will never need a medical care in Barcelona city during your holiday. For more about Barcelona please follow your Barcelona city travel guide.